I love technology and simplicity and get very excited when I find new stuff that helps my life run a bit more smoothly – which is why I am sharing with anyone who will listen about my UBER experience. 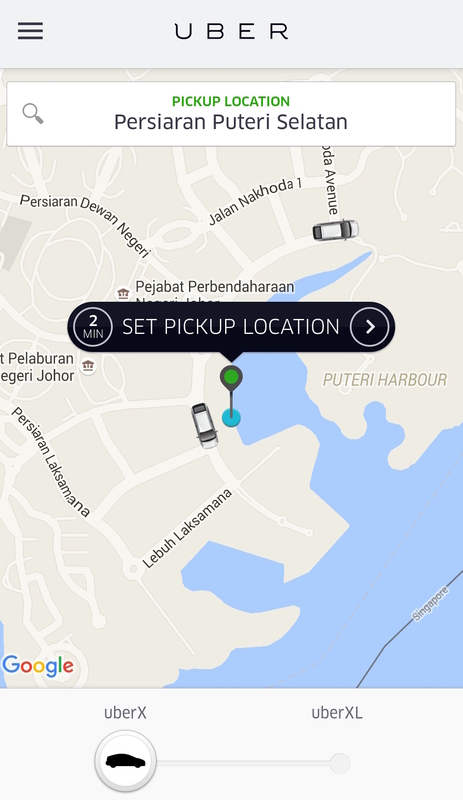 Yes I have found UBER and am now wondering how I ever existed beforehand. Well I do know really, I existed in a travellers world where I walked miles and searched for a taxi stand only to find myself joining the end of a queue so long I audibly groaned. Yeah that was me. Or I called a cab company with appalling attempts to explain my location in Malay/Chinese/Spanish/French/Thai.. you get my gist, only to wait eternally for the appointed car to arrive, or not arrive as was often the case. Here’s my shameless plug – if reading this inspires you to create an UBER account please enter my referal invite code ubersalty123 and we will both receive free rides! In Asia the cabs with the TAXI lamp on top are not always in the best condition, often no seat-belts or air-conditioning and with questionable cleanliness. All over the world these branded Taxis charge such inflated rates I never get that ‘value for money’ feeling. Taxis in Perth, Australia wins this title with a $55 fare for a mere 13 minute and 14km drive. Ok they did have seatbelts and I get they have to cover various license costs but I don’t really want to foot this if I don’t have to. Then I found UBER. This company uses technology to link registered drivers in their own vehicles operating their car as a small business with passengers like me and everything is managed through an App on your smartphone. UBER determines the fare – not you or the driver – which is calculated by distance and estimated in advance and you know EXACTLY how long it will be before your driver arrives. If this wasn’t enough good stuff the awesomest part is they are often over 50% cheaper than the corresponding taxi quote. Yep! that’s 50% travellers transport savings. Here’s a recent test quote for a ride I took towards Singapore – minimum fare for Taxi was $17 vs UBER $7 and I was actually charged $7.40 when I completed the journey. For the booking you can choose what type of car you’d like from standard UBER-X through to UBER XL (Executive Luxury) depending on what is locally available. Then you enter the pick-up point and destination (both with GPS locations) and this not only tells your driver where to find you but gives them the map navigation route to follow to your destination. If there is more than one route option they will ask which one you prefer when they collect you. But for me the real travellers magic is the that it conveniently manages the payment through your registered Credit Card or PayPal. Absolutely no cash is exchanged, no fare negotiation is required. You simply get charged on the milage and demand rate. If you are someone who likes to know these things upfront the fare can easily be estimated before you book. There is no taxi rank here but I can see two UBER cars available within 2 minutes of me. Once I book they get my GPS and I can track their arrival in real time. Travelling UBER feels very safe to me compared to flagging down any marked cab on the road. Before the car arrives I have the name and photo of my driver, the car make/model and plate number to identify them with. In Malaysia I’ve been transported by Mums who do it part-time when the kids are at school, supply teachers making up the hours, Uni students supplementing their cash to study, people in-between jobs and similar friendly and interesting drivers were encountered in the UK and Singapore. In Australia we met an entrepreneurial driver who had his own limousine hire company in Sydney but had recently relocated to Perth. He had taken the decision to drive with UBER for 6 months to learn the streets and obtain first hand knowledge of the transport trends and anticipated costs in order to establish a similar set-up to his Sydney business. My experiences so far have all been exceptionally good. Beautifully maintained new cars sometimes bottled water, mints and even the daily paper have been offered. Sure UBER is not everywhere (we found none in Spain) but for travellers and especially boating cruisers with no wheels and often no knowledge of the local area it is a real godsend. Hey, if you look on the UBER map and there are no cars available you can always revert to old-school taxi/bus/pre-UBER existence! The travelling saltygardener is on a true adventure of a different, much less watery kind. This is an adventure over the beautiful Pyrenees mountains which join the two great oceans of the Atlantic and the Mediterranean. We have around 6 weeks to hike as much as possible of the 840km route through the Spanish Pyrenees known as the GR11 – or in Spain the travesia pirenaica. I wanted to document some of my experience as all the blogs I found seem to be written by seasoned hikers or pseudo mountain goats set to break the record time. I am not in any race it is our personal annual challenge. Day 1 at sea level alongside the Atlantic ocean I was not at all prepared for this journey. Sure, I had a backpack filled with hiking goodies and #thebesthusbandintheworld who is an experienced mountaineer so there was no danger involved. We’d even had a trial run and pitched the tent in a Swedish apartment 🙂 What I mean is I live a fairly sedentary life which largely involves lounging in a cockpit trying to keep cool, eating a lot of yummy asian fried food and drinking our way through the latest duty free hoard. On the other hand without transport other than our dinghy we explore everywhere on foot and recently covered some jungle day-hikes on Tioman Island. I also swim quite a bit and have almost developed gills from snorkelling yet still manage to hover around 15kg over the top end of what those charts deem ‘normal’. I take no medications and am physically very healthy but in no way fit. I’m usually the one who groans loudest when the up escalator in the shopping mall isn’t working. In 8 walking days we have covered 140km and started to ascend some of the introductory smaller peaks and passes around 1200m – the highest so far was yesterday and at 1495m was around the same height as Ben Nevis! This recap is from our Day 10 and not any suggested GR11 itinerary. A well earned R&R day in a campsite where I have chance to reflect on the journey so far. This is the most demanding adventure I have under-taken and I’ve come a long way in distance, physically and emotionally and it is still a huge roller coaster. I hope to post in more detail if connectivity allows, but no doubt Facebook will be there even if the Internet isn’t. Please feel free to follow along via our Sailing with Tiki page. To start we eased in Days 1&2 with some long flat sections to get used to wearing 12-14kg on our backs and walking extended distances. Since then there have been higher highs, longer days and lower lows. The walking is good, the climbs are tough. Lots of breather stops but fitness is improving leaps and bounds and I’m starting to accept that I can really do this. We have a little evening routine where Captain Crackers reads ahead and plans the daily route, schedules in the rest stops and breaks the stage down. This is essential for me as after 2-3 hour stints I’m starting to sway, a little fatigued, I need some rest. Rest stops involve backpacks off, shoes and socks off to cool down and a good stretch of all these muscles. My favourite stretch is the downward dog with those amazing mountain views upside down! Also a refueling snack of cheese, baguette and juicy summer stone fruits which are simply divine. After a gorgeous peach/nectarine/apricot I can just feel the fructose filling me with energy for the next section. But these are just the physical practicalities. The real challenge comes when the hill gets really tough, or the slippery downward limestone terrain terrifies me. Then I need to dig a whole lot deeper than any peach can provide. That’s when I bring out my calvary – all the family and friends supporting us in this adventure. I place them in a line alongside me. Can you hear it guys? I’m calling on you regularly! I’m not sure exactly where this post sits in saltygardener world. Definitely under travel but also very much under food as I didn’t seem to stop eating the whole time. Either way it was a wonderful, unexpected and very welcome diversion to Stockholm! We started out in pure hotel luxury and although the room was awesome there were such little things that I appreciated so much more. The first being an electric kettle for a cup of tea and a Nescafe pod coffee maker which I am not ashamed to admit I needed to call on the concierge for driving lessons. This simple level of ‘instant’ was a bit of a rush coming from our gas cooker for boiled water tropical lifestyle. Then came satellite TV, fresh sheets, a cloud for a pillow, a lovely cool room, a HOT shower with a head I didn’t have to hold up over me. Oh boy we were almost in nirvana folks and then I found the gourmet ROOM SERVICE menu and literally cried. As I said, it’s the little things. Boatlife in SE Asia for a year has me fairly accustomed to going without the familiar and I guess I wasn’t at all prepared for the reverse culture shock. 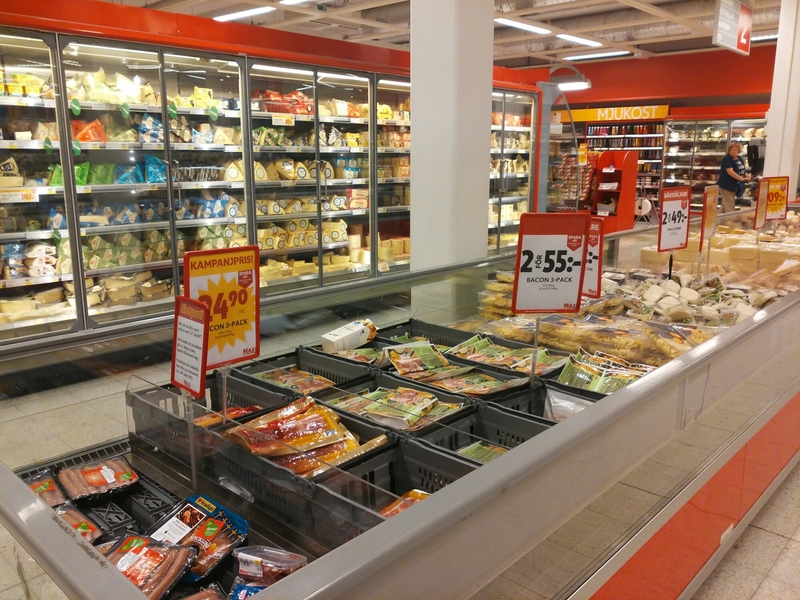 Take the simple experience of walking into a European (or even Swedish) supermarket. I know, I know, not the height of adventure for most but that first aisle of mega bread choices with rustic, wholewheat, dark, cereals, spelt, crusty, baguettes and more OMG sent my head spinning. 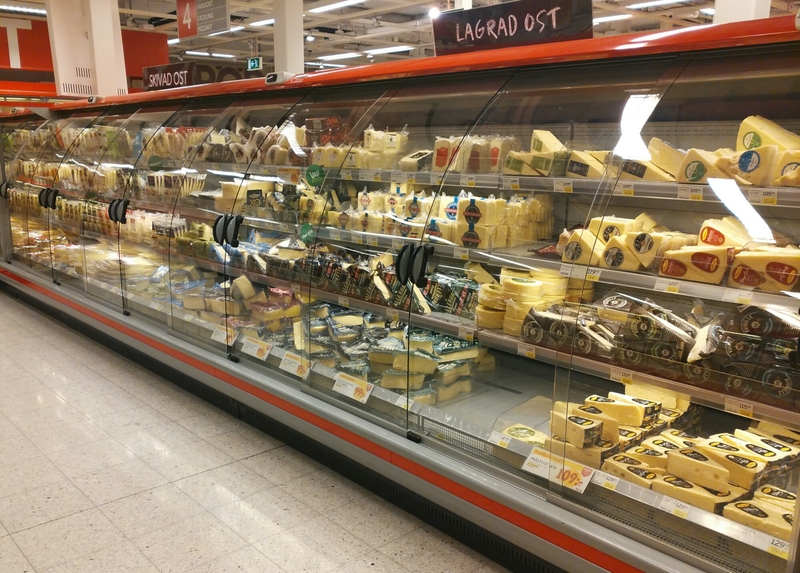 Then came th cheese and meat choices and variety and oh yes – even with the foreign to me Swedish packaging – that lovely sense of familiarity. Dairy,red meats and any tinned foods (can you even imagine?) are not part of my local store that’s for sure. As a bonus we had now moved into a self-contained apartment and this is where I confess to being both a market AND supermarket addict. I love nothing better than cruising aisles of ingredients imagining all the interesting local dishes that are created with them. Drives Captain Crackers (CC)bonkers as I literally can spend hours doing this… let’s just say he sent me out alone on the first excursion. With dinner secured it was great to join all the other summer tourists walking though cobbled streets of the city centre, waterside buildings had classical boats moored alongside, ferries touted their river trips. The 3 hour Shrimp and Tacos evening trip sounded intriguing if not authentically Swedish! The Royal Palace changed the guard and we walked the city, absorbed it, rubber necked and loved every bit. Having crossed the supermarket fix off it was time to drag Captain Crackers to the local market area in pursuit of the Östermalms Korvspecialist streetfood stall I had read about in visit sweden. We found it Nybrogatan 55 and persevered with the massive list in Swedish until the girl took pity on us and offered an English version from behind the counter. I tried the house special which was suprisingly spicy even to my chilli loving taste and served with sauerkraut, potato salad, mustard and pickles. CC had one called The Austrian in a baguette and gave it a thumbs up. The sun was shining and we were able to use one of the 2 small tables by this roadside cafe which served us well to watch a steady stream of customers proving it was equally popular with the locals. Next stop and pure foodie heaven was the Östermalmshallen at Östermalmstorg. The prior sausage refuel was so we (ok, I) didn’t tackle this place on an empty stomach and buy a ton of food which would be impossible to consume in 1 day. Oh boy what a good tactic as danger hit the minute we entered and found some of the best of Swedish produce in reindeer, beef, pork, seafoods, smoked fish, gravadlax, roe/caviar, cakes, fruit, vegetables, beers, coffee and ready meals . All this inside a beautiful vaulted and skylit 1880’s building. It was wonderfully traditional, even CC loved it and rather than hinting to leave actually looked for a table to grab a beer and soak in the wonderful atmosphere. I crumbled and purchased traditional pickled herrings and fresh roe to add to our dinner menu and with that the budget was blown so we headed out for more foot touring. I was only in Stockholm for 3 nights yet managed to put a mighty dint in my bucket list of ‘must try’ local delights. It really was an impressive degustation of cured meats, the classic shrimp sandwich, local beers, cheeses, specialty crispbreads, pickles, mustards, meatballs (of coarse!) and even salt liquorice. All I can say it was a very good thing the next stop on my travels was to be a mountain fitness boot camp. Thank you Stockholm, you were wonderful! I love that about reading new blogs which I have been doing a LOT of since joining the Blogging101 course. My interests were always diverse but I never thought to add randomness to my reading. I now get updates not only from sailing blogs but from travellers, writers, comedians, cooks, food bloggers, runners, artists, students, retirees and many more. This role call looks a lot like the one on my recent Fixing Bloggers Block post of who I wanted to follow me, it really is interesting that it is me following them! I’ve highlighted via link to only a few as the list of awesome is rather long and invite you to go and explore. The one that tickled? 5 Yoga poses for sailors – especially good for beginners to improve balance. My goal is to refine the Warrior 3 or ‘wind indicator’ as my signature anchoring signal for “the freaking reef is just there!” and of coarse pictures of said signal will need to follow but I haven’t had the energy for practising that one yet. On my hiking adventure the Downward Dog aka ‘fendering the boat’ gives both amazing upside down mountain views and an awesome leg stretch, ‘the chair’ is an essential requirement of wild camping and to re quote Dawn “nuff said” and ‘the corpse’ pretty much sums me up on every rest stop. So far I’m doing great!